We’re happy to announce that we will be holding our 8th Annual Summer Institute in Restorative Practices for Schools on June 3-12, 2019! The training will be held at Twin Peaks Academy in Longmont Colorado. This Summer Institute is a collaborative project between Restorative Solutions and Twin Peaks Academy. It follows last year’s very successful training which had 145 participants over 8 days. Given the expertise of the trainers involved, it should be one of the best trainings you can get from folks who are working daily in the field. Introduction to Restorative Practices: The first three days of the training are dedicated to exploring the fundamental values and principles of restorative practices, including opportunities to learn and practice connection circles, restorative language and conversations, and restorative agreement meetings. Participants will come away with the knowledge and skills to develop, promote and integrate restorative practices which complement and support existing initiatives. Restorative Mediation and Conferencing: A second two days of the training will be a two-day intensive dedicated to restorative mediation and conferencing for school personnel regularly responsible for addressing discipline issues. Steps in each of these two formal processes will be covered. Coaches will be present during practice sessions and questions regarding integration with existing discipline practices will be addressed. Participants will come away with the tools and knowledge to conduct both restorative mediations and conferencing. On-site opportunities for coaching may be made available upon request. Active Implementation and Evaluation for Teachers and Administrators: The last three days of the training will focus on evidence-based implementation of restorative practices. Topics include culture and climate assessment, identification of strengths and roadblocks, stakeholder participation and support, professional development recommendations, staff and administrator rubrics for restorative practices effectiveness evaluation, using restorative practices to address staff and student conflict, and building a sustainable community of practice. Participants will come away with a full understanding of best practices for restorative practices implementation for the unique needs of their school and/or district. Registration information and deadlines: Registration Form Link or contact Randy Compton 303-449-2737; rcompton@restorativesolutions.us May 20, 2019 deadline. Prerequisites: For days 4-5 & 6-8, background training required. Contact us for details. President & Co-founder, Restorative Solutions, Inc.
“The Circle process that many non-Native people are using today is rooted in the tradition of talking Circles that Indigenous Peoples in North America use and have used for millennia. Different Native Peoples practice different forms of the Circle process. The form of Circles described in Living Justice Press books most closely reflects the talking Circle process practiced by the Plains Peoples of North America. In these traditions, Circles are far more than a technique; they are a way of life. Circles embody a philosophy, principles, and values that apply whether people are sitting in Circle or not. 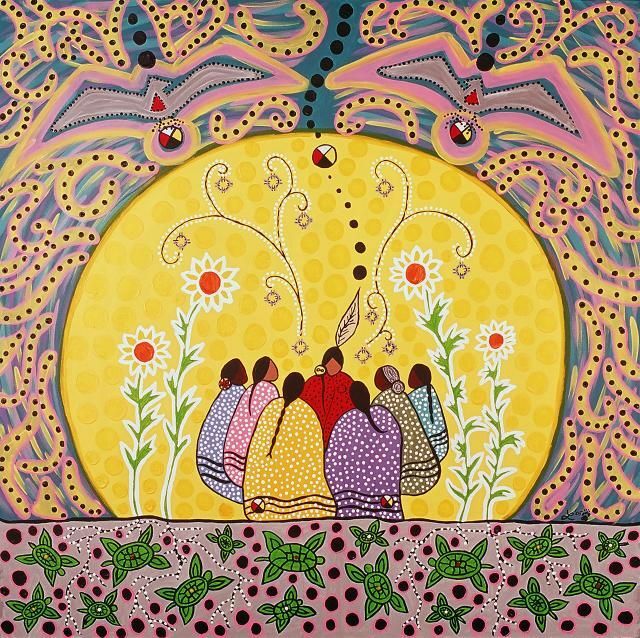 “During the 1990s, members of First Nations in Canada began teaching the Circle practice to non-Native people. They chose to do this because First Nation communities were seeking alternatives to the mass incarceration of their people, which was—and remains—another form of genocide. Returning to Native ways to resolve conflicts and harms required collaboration with non-Native people: lawyers, prosecutors, judges, as well as non-Native neighbors. 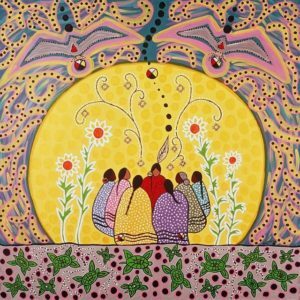 In the process, non-Native people experienced the Circle process and its power to bring positive transformation for everyone involved. From these origins, the use of Circles among non-Natives has grown. “Several First Nations in particular contributed to the use of Circles among non-Natives in the U.S. and Canada. The Hollow Water First Nation on Lake Winnipeg has played a critical role in demonstrating the philosophy and power of Circles to address harms in communities. Many non-Natives learned about Circles through their work, especially by reading Rupert Ross’s book, Returning to the Teachings: Exploring Aboriginal JusticeCanada; available in the U.S. from Living Justice Press). In Yukon, Harold and Phil Gatensby, members of the Carcross-Tagish and Dahka T’lingit First Nations, and Mark Wedge, a member of the Carcross/Tagish First Nation, have also trained many non-Native people in Circles, especially professionals in criminal justice systems, juvenile justice systems, and in schools. Euro-Canadian Chief Judge Barry Stuart of the Yukon Territorial Court responded positively and became a leading advocate for using Circles among non-Natives. For example, these First Nation Circle practitioners, along with non-Native Circle trainers, trained the entire staff and many in the community of Roca, Inc., a youth center outside Boston that works with gang, street, and immigrant youth. “This cross-cultural transference that First Nations initiated was spurred by the need to find alternatives to incarceration and to reduce the disproportionate incarceration of Native people. When non-Native people, including many People of Color, experienced the power of the Circle process to address harms and conflicts, they began to use the process with other non-Native people and in other areas of life as well. The Frogtown–Summit University Circle in Saint Paul, Minnesota, for example, operated for many years to keep young African-American men, ages 18–35, out of prison and on a good path. “Using Circles in schools quickly became another major area of use. In Minnesota, Dakota-Ojibwe playwright and scholar Chuck Robertson was a strong advocate of using Circles with Native and non-Native communities, especially around schools. With his Circle associates Jamie Williams and Oscar Reed, Dr. Robertson trained and worked with hundreds of educators to bring the Circle process into school settings. “Because Circles have the capacity to bring people in conflict together in a good way, different Native communities have, at different times, sought to use the process to resolve differences and conflicts with their non-Native neighbors. The form of the process reflects the traditions of each Native People. A form of the Circle process has been used by Native Elders for several decades in Wyoming, for example, to protect the Bighorn Medicine Wheel from non-Native tourist abuse and violations. Let us all honor and respect the cultures and people before us who have used the Circle to build community, address harm and repair relationships. One of the best ways we can do this is by reaching out to any Natives in our community and ask them how their culture has used the Circle and how they resonate with it being used in school and community settings. Time after time in our work in schools, we hear teachers wonder what kind of consequence a student will get when they misbehave. Sure, students need some kind of discipline for unruly, disrespectful and harmful behavior. But the question I have is, “Why are we so enamored with imposing consequences?” What is our fascination with consequences and restorative practices? Recently, the New York Times Magazine ran a long story on restorative practices entitled, “An Effective but Exhausting Alternative to High-School Suspensions” and again the issue came up. The author reported on a school that was trying to determine how to handle disruptive behavior by a student in a classroom. Right here’s the problem. Consequences that are imposed by adults onto kids are simply not restorative. And, they don’t work. Let’s review Howard Zehr’s definition of restorative justice. “Restorative Justice is an approach to achieving justice that involves, to the extent possible, those who have a stake in a specific offense or harm to collectively identify and address harms, needs, and obligations in order to heal and put things as right as possible.” The key elements here are that it involves those who have a stake in the harm done. And, it meets the needs of those harmed–not just authorities in charge. The offender or responsible party is part of the process for making things right. 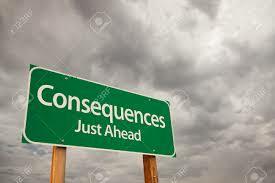 Too often, consequences are imposed on our youth as another form of punishment. And, if they happen to be natural consequences, the youth is a passive participant that has to accept his or her “just desserts” rather than to truly own up to what happened and think about how to make things right again. They aren’t actively engaged in reflective thinking where they get the “aha” moment. The key principles that are missing from the impulse to impose consequences are these: “Violations create obligations” and “The central obligation is to put right the wrongs, i.e., to repair the harms caused by wrongdoing”–and this is a collaborative effort, not one imposed from above. “The restorative vision for schools is about cultural transformation. A big part of the transformation is the engagement of all voices in decision-making. The restorative philosophy asserts that there is wisdom in each of us and that the collective wisdom is always greater than the wisdom of any individual. Restorative processes are particularly effective at allowing voice for every person and at accessing the collective wisdom of a group. “Schools are nested communities. The classroom is a community within the community of a particular school which is a community within the community of the district as a whole. At each level of community it is important for the stakeholders to engage in conversation about the values and principles of restorative philosophy – to talk about how we are going to live together. The specifics of implementation are designed to meet the needs of that particular community. Self-governance is a very important principle of the restorative framework. Sharing power happens at every level. Teachers share power with students. School administration shares power with teachers and parents. District administration shares power with schools. Sharing power is necessary to access collective wisdom! “Experience across the country suggests that the individual school level is the critical unit for implementation. Sustainable implementation requires grassroots engagement of staff, students, parents and administrators at the school level with support from district administration. Experience also suggests that training alone is not sufficient. A restorative culture in a school requires major behavior change of the institution. It takes time. It requires role modeling and coaching. It requires practice. “In my own journey with restorative justice I have had to pay more attention to how I show up every day. Am I bringing my ‘best self’ to my interactions with others? Am I listening with an open heart and an open mind? Can I stay in a place of curiosity rather than jumping to judgment when I do not like what I am hearing or seeing? I have had to pay attention to what is going on inside me. The circle process helps me to slow down and notice my thoughts, my assumptions, my judgments so I can then be more intentional about my actions. “The underlying concepts of a restorative approach are not new. They are indeed ancient and go by many names. 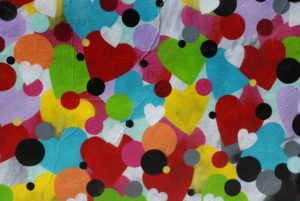 Restorative practices are designed to allow us to live together as humans in a good way. For many people they are intuitive. The articulation of this philosophy and the development of specific restorative practices has given us a way to be more intentional about living together in a good way. Thanks, Kay, for expressing this so eloquently. Indeed, it is about how we show up together as a community. Over the years, we’ve heard the comment that while most things in schools can be handled restoratively–and that it is the preferred approach–there are just some things that need to be handled through the traditional, punitive discipline system. Each time we hear this, we wonder…”Why can’t everything be done restoratively?” And, each time we ask ourselves, the answer is “It can!” Let me explain why. Restorative Justice (or restorative practices) is based on a relationship centered philosophy that says we treat people with respect; we hold relationships as central to a healthy learning community; we take responsibility for our actions, feelings, and thoughts; we repair harm when it happens, often face to face with those we harmed, including the wider community; and lastly, we reintegrate those who have made things right by bringing them back into the community, back into the circle, back into wholeness with all. With this philosophy, wouldn’t it be possible to treat every disciplinary action restoratively? Why would there be a need to resort to the punitive model? The main question schools need to ask themselves is, how can we create all aspects of our discipline system in a restorative way? Suspensions, for sure, can be handled restoratively. But what about expulsions? What about truancy? What about the hardest cases you can imagine? We shouldn’t have to resort to the punitive model to solve problems that restorative practices seemingly can’t handle. It is an issue of willingness to revise all aspects of our discipline system, to revise all aspects so that it is based 100% on restorative values and principles. 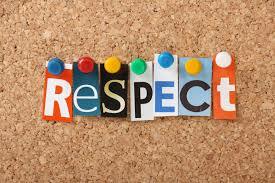 We’ve seen very successful in-school suspension rooms which are based on restorative principles. We’ve seen restorative truancy around the country, though some adhere to restorative values more than others. So, before you think your school has to delegate some of the harder cases to the traditional punitive system, while the rest can be handled restoratively, think again. Try going back to the drawing board and seeing how each and every time you discipline students, whatever method or process you use, it includes the above listed restorative principles and values. You may be surprised at what you can do–and what students can do when encouraged. It’s time for everything to be handled restoratively. As a last note, we all know that our prison system here in the U.S. is incredibly punitive. What would it look like if it were designed restoratively? In this video, you might get some ideas. It is a short clip on how Norway deals with their inmates, when they isolate them for a time from society. We’re happy to announce that we will be holding our 5th Annual Summer Institute in Restorative Practices for Schools on June 13-22, 2016! The training will be held at Flagstaff Academy in Longmont Colorado. This Summer Institute is a collaborative project between Restorative Solutions and Flagstaff Academy. It follows last year’s very successful training which had 43 participants. Given the expertise of the trainers involved, it should be one of the best trainings you can get from folks who are working daily in the field. Registration information and deadlines: Registration Form Link or contact Randy Compton 303-449-2737; rcompton@restorativesolutions.us June 8, 2015 deadline. Circle Round Best Practices Merges with Restorative Solutions, Inc.
Two leading restorative justice organizations in Boulder, Colorado—Restorative Solutions, Inc. and Circle Round Restorative Best Practices, LLC—have agreed to merge under the name and auspices of Restorative Solutions, Inc. The merger will allow two leading restorative justice organizations to combine their efforts, talents, and contacts in the field to provide more comprehensive training and consulting services to schools, towns, governmental agencies and juvenile justice organizations. This merger comes following the passing of Anne Rogers, a pioneer and leader in the field of Restorative Justice in Colorado and the nation, who was the founder of Restorative Solutions. Anne strongly supported the continuation of Restorative Solutions following her passing. “The combination of Restorative Solutions and Circle Round Restorative Best Practices creates an exciting opportunity for our company, for our clients, and for the field at large,” said Randy Compton, President and Co-founder, Restorative Solutions, Inc.
Catherine Childs, CEO and Founder of Circle Round Restorative Best Practices, brings more than a decade of experience in the field of Restorative Justice practices and also with Restorative Solutions, Inc. She recently took over Anne Roger’s position as director of Restorative Justice Services for the 20th Judicial District Probation Department. Restorative Solutions, Inc. has a long history of restorative justice work in both schools and criminal/juvenile justice and was the lead training organization for Denver Public Schools when they launched their district-wide “restorative practices” program in 2007. Catherine Childs brings a wealth of experience and knowledge to the merger, including Circle Round to Stay in School, a truancy prevention and intervention model, and a community based Restorative Justice services model and training manual for municipal and district courts that can be adapted and implemented around the country. This merger began with a five-day Summer Institute for Restorative Practices held at Flagstaff Academy in Longmont Colorado, which was a collaboration between Restorative Solutions, Inc., Flagstaff Academy and Circle Round Restorative Best Practices. Catherine Childs led the highly successful, two-day workshop on Implementation Science. Essentially, restorative practices are about creating more connection in our classrooms and repairing harm when it happens. And connection comes in handy when harm occurs and relationships get broken. As unlikely as it seems, helping students feel happier at schools should also be a goal. Happy students make better students, better thinkers, and better team players. So when this article on the neuroscience of happiness showed up and talked about the four rituals that will make you happier, I thought it would be worth seeing how it can be applied in schools. On the way, I discovered that restorative practices already use most of these four rituals for happiness. Four simple rituals. Things that can bring happiness in the classroom. Things that can help build a safe school environment where students feel they belong and can contribute without feeling judged. When teachers or administrators using a restorative mindset sit down with a student who has misbehaved or has caused harm, they often start by acknowledging the good things the student does. In a real, authentic way. Then they label negative feelings. By labeling them, we begin to let them be acknowledged. And then we can let them be felt. We encourage taking a short pause to allow ourselves time to feel the feelings before moving on. Then, once everyone has had a chance to share the negative feelings and behaviors that are causing the problem, making a decision will move things even more. We get practical and specific. When we set a plan in motion, we begin to feel happy because something has been done to address the situation. We’re moving forward and not stagnating. And, moving makes us happy. The next time you are working with a student or a colleague in a restorative way, know that you are increasing the happiness in our world. We’re happy to announce that we will be holding a Summer Institute in Restorative Practices for Schools on June 15-17 that will be followed by two advanced workshops on June 18-19th! The training will be held at Flagstaff Academy in Longmont Colorado. This Summer Institute is a collaborative project between Restorative Solutions, Flagstaff Academy and Circle Round Best Practices. It follows last year’s very successful training hosted by Longmont Community Justice Partnership (LCJP) which had 50 participants. Given the expertise of the trainers involved, it should be one of the best trainings you can get from folks who are working daily in the field. Restorative Mediation and Conferencing: A two-day intensive dedicated to restorative mediation and conferencing for school personnel regularly responsible for addressing discipline issues. Steps in each of these two formal processes will be covered. Coaches will be present during practice sessions and questions regarding integration with existing discipline practices will be addressed. Participants will come away with the tools and knowledge to conduct both restorative mediations and conferencing. On-site opportunities for coaching may be made available upon request. Implementation Science for Teachers and Administrators: A full two-day complement of workshops to meet the needs at both the school building and district level for evidence-based implementation of restorative practices. Topics include culture and climate assessment, identification of strengths and roadblocks, stakeholder participation and support, professional development recommendations, staff and administrator rubrics for restorative practices effectiveness evaluation, using restorative practices to address staff and student conflict, and building a sustainable community of practice. Participants will come away with a full understanding of best practices for restorative practices implementation for the unique needs of their school and/or district. Prerequisites: For days 4 and 5, background training required. Contact us for details. Last Friday, my business partner, Anne Rogers, President and Founder of Restorative Solutions and a luminary in the field of restorative justice, passed away after a tiring battle with cancer. It is a deep loss. She was a dear friend and colleague and she brought much to the field of restorative justice over the many decades she worked in it. Anne gave most all of her life to restorative community justice. She was a nationally recognized leader, consultant and trainer in the restorative community justice movement. She was responsible for providing restorative practices within criminal justice, schools, law enforcement, probation and communities and she facilitated dialogues and circles in a number of high profile cases of severe violence, going places few have the skill to manage. It’s hard to say all the wonderful things that Anne brought to the field, especially in our state of Colorado, but I thought I would share some of her accomplishments as we remember a dear soul who meant a lot to us. Anne was the Director of the Community Restorative Justice Partnership, a non-profit organization that provides restorative justice services to the courts, district attorney and probation. Anne provided training and education, technical assistance, resources, program development and policy development. She was the founding director of The Forum on Community and Restorative Justice. During her tenure at the Forum, the organization produced and published newsletter, videos and other publications, directed six national conferences on Restorative Community Justice, provided training to over 1000 individuals and organizations and assisted over 30 communities in implementing restorative justice programs. Prior to joining The Forum, Anne was the Victim Services Coordinator for the Office of Probation Services at the Colorado Judicial Branch, where she was responsible, statewide, for the probation victims program, including program implementation, policy development, legislation and training. Prior to joining probation, she was the Director of Training for Colorado Organization of Victim Assistance. She spent 18 years in the private sector where she was the Director of Product Development for Neodata Services. She was on the board of the Colorado Organization for Victim Assistance and was the past Co-Chair of the Colorado Forum on Community and Restorative Justice. She has been a victim advocate with the Boulder County Sheriff’s Office and a community conferencing facilitator with the Longmont Community Justice Partnership. She was a part of the Restorative Justice Team with the Lafayette Police Department. 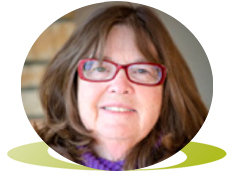 Anne has worked with the Vencentian Center on Spirituality, teaching classes in decision making for Incarcerated women in Colorado Women’s Prison. Anne has worked extensively on high profile crime cases in Colorado, where she assisted in the coordination and delivery of services to the survivors and family members of the Oklahoma bombing, while they attended the McVeigh and Nichols trials in Denver. She also provided assistance to victims, schools and the community during the Columbine Shooting. One thing I could always count on Anne for is breaking new ground in the field. She was a voracious reader and was interested in creating hybrid restorative justice models, which were able to be flexible to the situation. It’s what I loved about her and is the philosophy that Restorative Solutions is based on. Rather than stick to a script, she expanded beyond the script using the many skills and formats that were available while still creating a sense of safety and mastery. Thank you Anne for all you gave to the field and for all you gave to me. We will all miss you dearly.